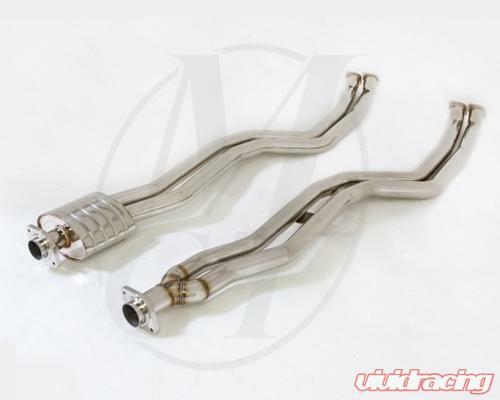 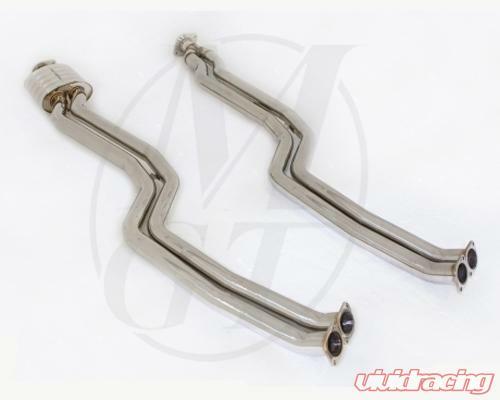 The Meisterschaft Section 1 piping section bolts on behind the factory catalytic converters and removes the stock dummy resonators with a high performance resonator system or non-resonated straight pipes to maximize the exhaust flow. 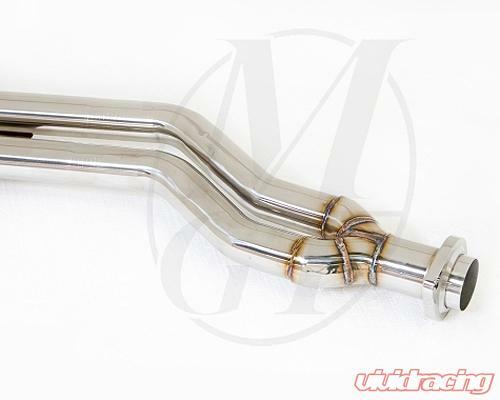 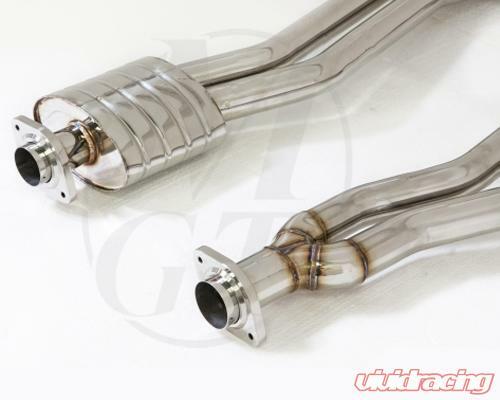 The increased piping diameter is what gives a Meisterschaft equipped car superior sound performance over stock. This mid-pipe combined with the Meisterschaft rear section (not included) completes the catback system. 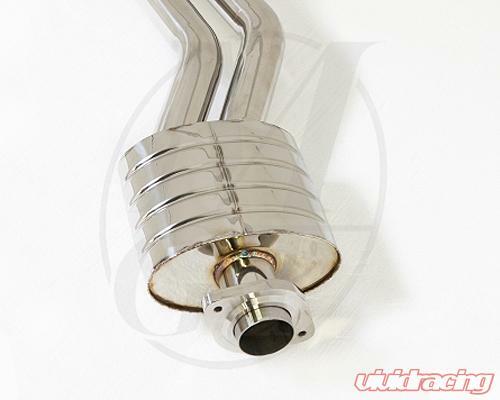 Available in Stainless Steel with resonator.